The procedures committee is yet to receive the motion. Ukrainian Prosecutor-General Yuriy Lutsenko has requested parliament's consent to prosecute Opposition Bloc MP Serhiy Dunayev whose status makes him immune from prosecution. Lutsenko's press secretary Larysa Sarhan said on Facebook that the motion addressed to the speaker had been registered with parliament. The case concerns false information in Dunayev's income statements. The deputy head of the parliamentary procedures committee, Volodymyr Areshenkov, said they were expecting similar motions for three MPs but had not received one for Dunayev yet. He recalled that according to the procedure, MPs in question have five days to respond to prosecutors' motion in writing. 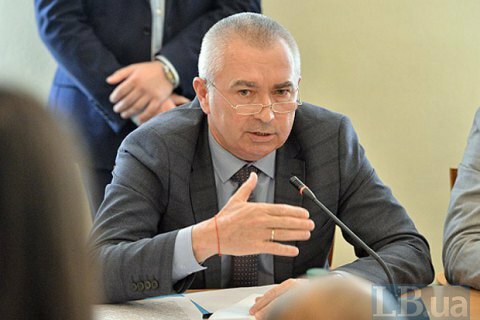 UPDATE: Talking to LB.ua, Dunayev said the case concerns his income statement for 2015. "Yes, there is only 2015. Let them go to court and it will issue all the decisions," he said. He added that he had not read the motion yet, therefore he cannot comment on it in greater detail.